Make dinner easy and delicious with this mouth-watering Pesto Chicken recipe! It’s a dinner everyone will want on regular rotation each week, and you’ll love it too because of how simple it is to throw together! On it’s own it’s Keto friendly, but I’ll show you some ways you can make it a well-rounded meal and keep it low-carb. But if you’re not doing low-carb or Keto, I’ll give you some other meal options too. I’m pretty sure we’ve all had those days when cooking isn’t enjoyable, it’s a chore. Whether it’s because we’re tired, or just don’t feel like we have the right ingredients to make something delicious it can make mealtimes tough. This Pressure Cooker Pesto Chicken is a recipe I like to make on days like that. It’s super easy to make, and uses just the leftover ingredients in your pantry. 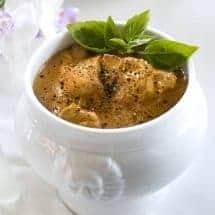 If you’re doing Keto or low-carb, this is a great recipe to serve over cauliflower or zucchini noodles. If you’re not doing one of those diets, you can serve over regular rice or pasta for a delicious meal. 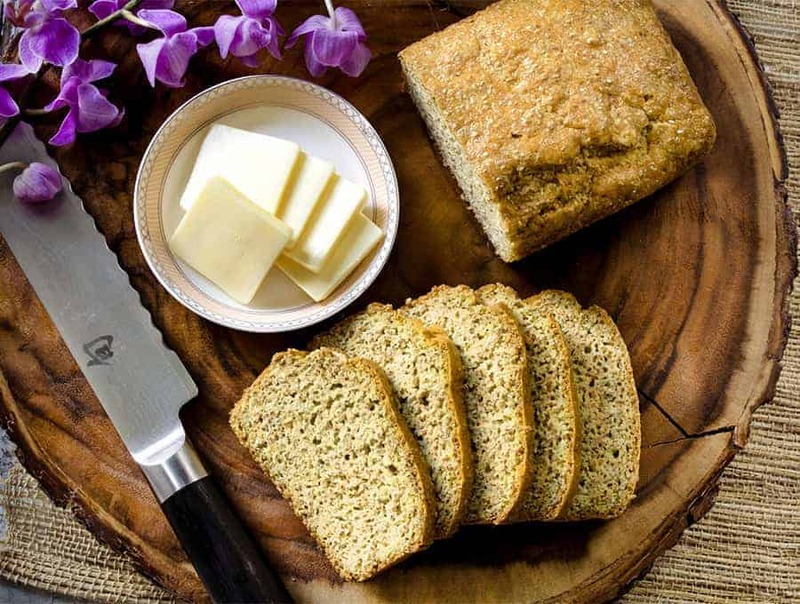 If you are doing low carb, and you wanted to serve this with bread, I use this Keto Bread recipe. It’s amazing and turns out beautifully every time. This is very popular amongst the members of my Facebook Keto group. Another super simple one-pot dinner that that is very popular, is my Pressure Cooker Ground Beef & Rice Shwarma. It’s so simple, but perfect for nights where cooking is a chore. I’d love it if you checked it out to try too HERE. You’re going to cook the chicken and veggies together until it makes a lovely sauce and the chicken is cooked. 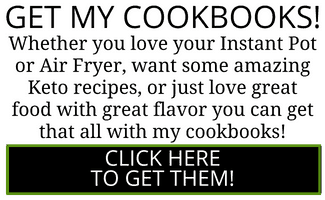 I wrote the recipe with boneless, skinless chicken thighs. If you want to use chicken breast, cut the breast in half at the thickest part, and cook for about 6-8 minutes. Once the chicken is cooked, you will remove the chicken. At this point, you use an immersion blender to get some smooshing and lifting going on. Smoosh the veggies, and lift the whipping cream I mean. So you cook everything together, you take out the chicken, you make a smooth sauce with a few additions, and then you put the chicken back. If you want a thicker sauce you can add xanthan gum or a cornstarch slurry. But I didn’t do that. The sauce thickens as it stands so if you’re going to let it sit for a bit before you serve, you may not need to thicken it. You have a few different options here. You can put all the ingredients except the pesto and the cream in a ziplock bag, shape that bag into a circle, and freeze it that way. When you’re ready to cook, just pour the frozen block into the instant pot and cook as directed. You do not need to increase time under pressure. You can freeze leftovers, and thaw in the microwave, or in the refrigerator or counter top. But don’t re-pressurize it, since the cream will separate if you do that. You can double the recipe and remove half before you add the cream and pesto. Then, once you defrost the recipe, you can add cream and pesto before serving for a fresh taste. 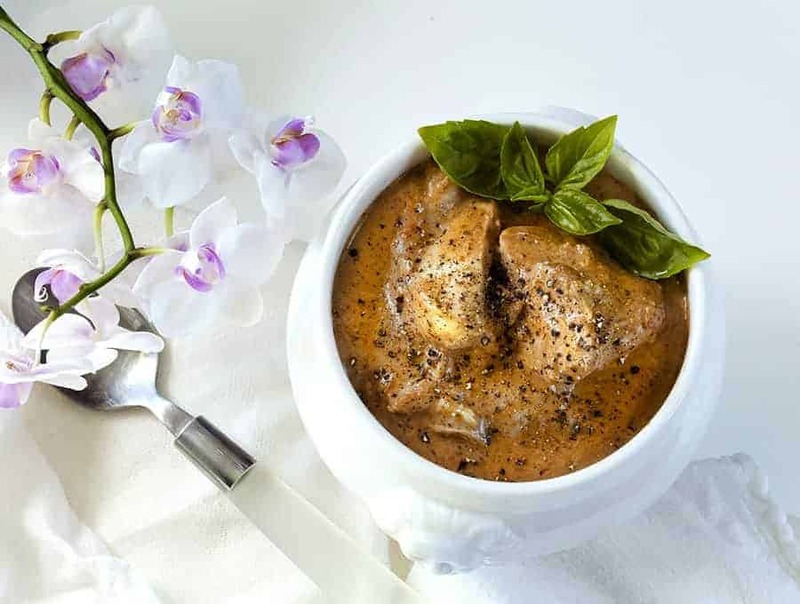 So as you can see, this is yet another Keto Instant Pot Chicken Recipe that you can easily incorporate in your weekly rotation. This Pesto Chicken is perfect for just a normal, weeknight, everyday meal and I can’t wait for you to try it. 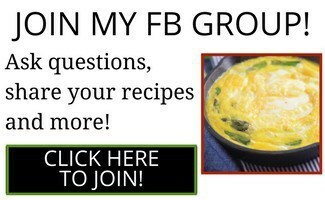 ★ DID YOU MAKE THIS RECIPE? 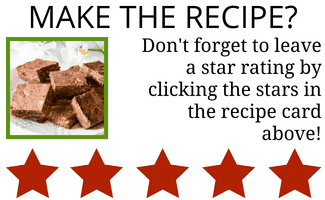 DON’T FORGET TO GIVE IT A STAR RATING! Looking for a quick and easy meal to make for the family using leftovers you've got in your kitchen pantry? Check out my Keto Creamy Pesto Chicken! Place chicken, onions, tomatoes, garlic, 1 tablespoon pesto, Italian seasoning, water, salt, and pepper in the inner liner of your Instant pot or pressure cooker. Cook for 5 minutes at high pressure. At the end of the cooking time, allow the pot to rest undisturbed for 10 minutes and then release any remaining pressure. Remove the pieces of chicken and set aside. Add the whipping cream and pesto to the vegetables in the pot. Using an immersion blender, purée until you have a smooth and creamy sauce. 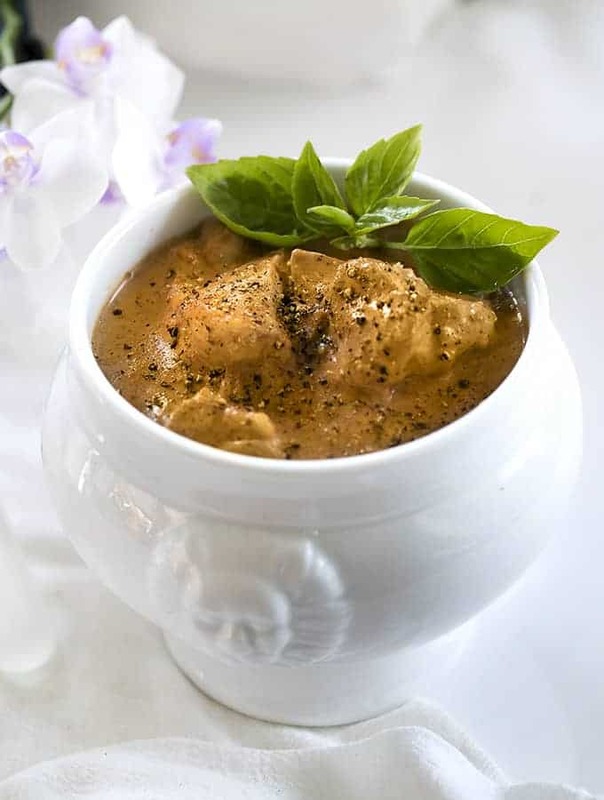 At this point, if you would like a thicker sauce, turn the Instant Pot to Sauté and when the sauce boils, add the Xanthan gum or cornstarch slurry and cook until the sauce has thickened, about 2-3 minutes. Add the chicken to the sauce, and serve. After I made this the first time as written (which was excellent), I had a hunch it would make a good base for a creamy chicken and veggie soup. Boy, was I right! Adding only a few cups of broth, a cup of cauliflower rice and peppers made a fantastic lunch. Thanks so much!